Polypropylene capacitors form one of the many varieties of film capacitor that can be obtained. Available chiefly as leaded components, their use is not as wide as it was when leaded components were used almost exclusively. 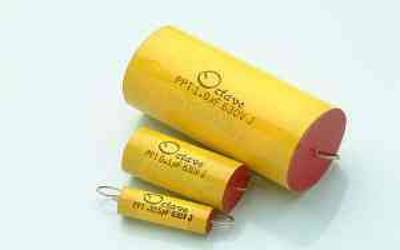 Nevertheless, polypropylene capacitors can be used to good effect in a number of applications. 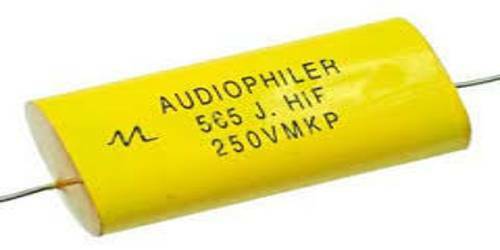 Polypropylene is often abbreviated to PP, and indeed the polypropylene capacitors may be referred to as PP capacitors. The material has many several advantages and as a result, it is widely used in many applications: everything from packaging and labeling to textiles, ropes, stationery, reusable containers and many more items. Polypropylene is even used in some high-quality loudspeakers where its properties are ideal to create the required performance. Tolerance: These capacitors are often used where high degrees of tolerance is required. 1% tolerance capacitors are available. Stability: Polypropylene capacitors exhibit very little change of capacitance with time and voltage applied making them ideal for applications where a stable level of capacitance is needed. It is found that the temperature coefficient is low, negative and virtually linear. ESR: PP capacitors have a low ESR, equivalent series resistance and also most types have a low inductance level as well. Leaded components: PP capacitors are only available as leaded components. Surface mount versions are not available and various forms of ceramic capacitor are most widely used. Voltage range: PP capacitors are able to withstand high voltages. Often even small capacitors will be seen with operating voltages of 630V or even 1kV, and 100V versions are common. Temperature: These capacitors may be operated up to 100°C and sometimes just over with suitable de-rating – although the manufacturer’s specification must be consulted before designing in a specific component.